A horse chestnut tree towers over a busy street in New Hampshire's main port city, Portsmouth. The tree is known for its history more than its height. Legend has it that William Whipple planted it after returning in 1776 from signing the Declaration of Independence. But at nearly 70 feet tall, it is also big for a chestnut. That is what brought Keven Martin out one rainy morning. Armed with tape to measure its circumference and a laser finder to calculate its height, Martin wanted to find out whether the tree remained the state's biggest horse chestnut. The tree has held the title for decades. "It is not only the biggest, but it's been around a long time," said Martin, who coordinates New Hampshire's Big Tree Program when he is not building boats. More than 700 champions in the state have been crowned. And while there may not be any redwoods out here, the state is home to 10 national champions, including the country's biggest black spruce and American mountainash. "People appreciate a big tree more, and they have a lot of history to them. People have a connection with them, more so," said Martin, who has written a book on the big trees found on public lands. "They are just a lot more impressive when you see them in the woods or driving by." Started in 1950, the state's Big Tree Program has been part of a nationwide network run by the conservation group American Forests that has logged some 721 champions across the country. Two hundred species still don't have a title. Created to raise awareness about protecting forest from threats like development and forest pests, as well as a way to better understand why some species grow so large, the effort today is driven by tree lovers like Martin. They spend their free time scanning highways, historic sites and the state's hiking trials for the next big one. To find a champion, an owner starts by measuring its circumference and submitting that data to the tree program. Then, Martin or another volunteer goes out to measure its circumference, height and crown, as well as its overall conditions. From those figures, a point total is created. Winners earn a place in the big tree list. The owner gets a certificate. Some even have their photos taken alongside the tree. "It's like finding a rare tiger. There is a segment of the population that really connects with trees," said Ian Leahy, director of urban forest programs for American Forests who coordinates its American Biggest Trees program. "There is a just a deep, deep passion. In some ways, it's just out being in nature. It's like hunting, but without killing anything." But it's not just the thrill of finding a big tree. These forest giants serve as role models of sorts, helping the public understand the outsized role trees play in nature by feeding and sheltering animals, protecting watersheds and providing a sink for carbon that helps to offset greenhouse gas emissions. They are especially important in a state like New Hampshire. Eighty-three percent of it is forested. "By starting to look at one tree and appreciate it, people start to understand their connection with the outdoors and nature," said Mary Tebo Davis. She is a natural resources field specialist. She works at the University of New Hampshire Cooperative Extension, which runs the big tree program. The big trees, like the horse chestnut in Portsmouth, are also popular because they are tied to a historical event or have proven so resilient. Some have survived for centuries. "You can't imagine the number of people who had their picture taken under that tree, groups of kids who encircle the tree," said Barbara Ward. She is the director and curator of the historic Moffatt-Ladd House, outside which the tree stands. "It's such a nice thing for children in particular. But even adults are just awed by the idea that a living thing has been here that long." Martin was done measuring, and Ward looked on anxiously. She wanted to learn whether the horse chestnut had done enough to keep its title. More precise measuring techniques meant the tree had lost some height. But it appeared to have made up the difference by increasing its circumference. "It's still a champion, yep," Martin said after he was able to tally up all the numbers. "It still beat out all the horse chestnuts in the state." Why are trees so important to New Hampshire? Trees are important for the state because forest and trees can bring people together, for example parks can be in or around forest. another example of why trees are important is because they give a place for wildlife to thrive, and when wildlife thrives it means that hunters can get together and hunt. About 83 percent of New Hampshire is forested, that's a lot of trees for hunting. 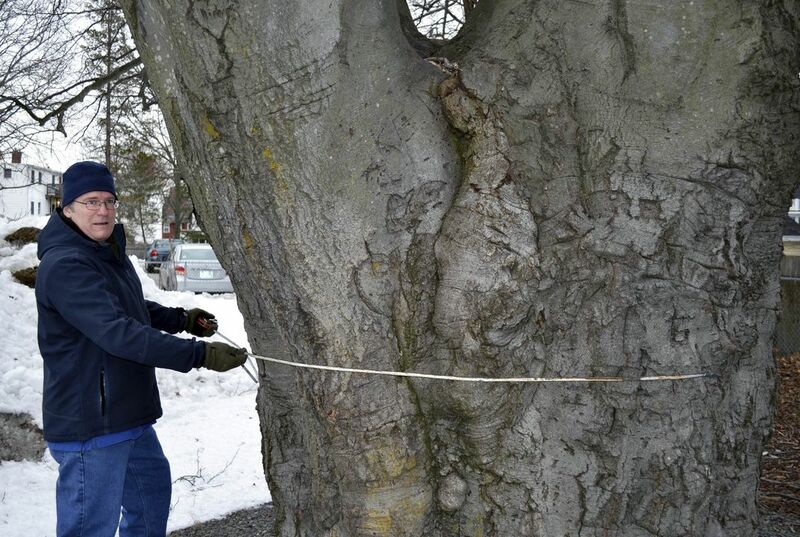 On one rainy morning in Portsmouth, New Hampshire Keven Martin went outside to measure a horse chestnut in his yard. The tree is 70 feet tall and is very large for a chestnut.The tree is the states largest chestnut. "It is not only the biggest, but it's been around a long time," said Martin. "It's like finding a rare tiger. There is a segment of the population that really connects with trees," said Ian Leahy, director of urban forest programs for American Forests who coordinates its American Biggest Trees program. Tree are important to the state, because it keeps wildlife safe. If there wasn't as many trees, there wouldn't be as much wildlife. Keeping the keeps is a very important thing in today's world. Trees are important to the state because it gives them a reason to come together. It makes the people want more trees and that's good for the planet because trees produce oxygen. Maybe other states will find this a good idea and try it themselves. It's important for New Hampshire because of how it brings families together. In the text it states that how these trees help one another and also they help offset greenhouse gas emissions. Trees are important in New Hampshire since they get rid of carbon dioxide in the atmosphere. I'm still confused on what makes a champion tree, is it just size? This is interesting since i have never seen a tree this big. 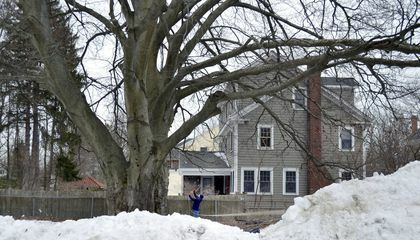 This article is about a 70 feet tall horse chestnut tree in Portsmouth, New Hampshire. There is a legend that William Whipple planted the tree after returning from signing the Declaration of Independence in 1776. I like this article a lot because I can relate to the topic. At my Grandmas house in Indiana, there is a gigantic oak tree in her backyard. I always climbed it when I was little. She always told me that it is known to be the biggest oak tree in the country.